A popular, reliable choice for really straight teeth and an improved smile, fixed braces. Fixed braces are the type of brace which are most frequently fitted by orthodontists in the UK, and there are plenty of reasons why they’re still the right choice for many people. They offer a high degree of control over the final positioning of the teeth and produce consistently excellent results. Splash Orthodontics are based in Brighton and Hove and have excellent reviews for fixed braces. Fixed braces are what most people think of when they think of braces. 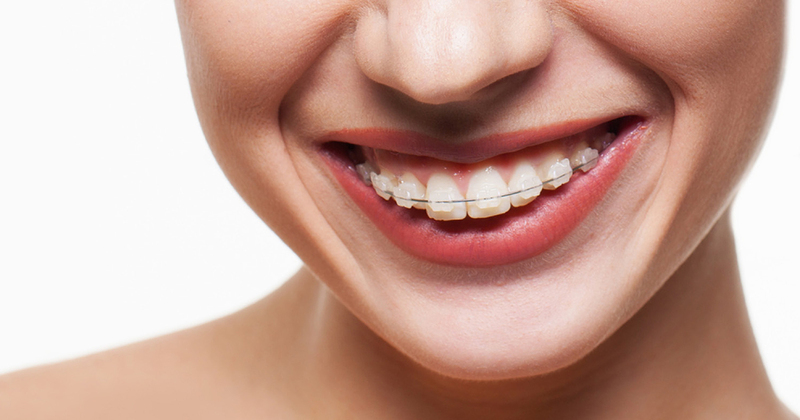 Metal brackets and archwires, which resemble train tracks, that are fitted to the front surface of your teeth. Fortunately, these days, orthodontic technology has meant fixed braces are less obtrusive meaning the train track look is a thing of the past. Fixed braces treatment involves fixing metal or ceramic braces to the surface of your teeth. There is no need for any plastic in the roof of your mouth, so you’ll still be able to enjoy the full flavour of your food. Because fixed braces stay in place for 24 hours a day, they’re highly effective and can achieve outstanding detail in fine-tuning your perfect smile. Many of our patients opt for ceramic braces. They cost a little more but they’re less noticeable because they blend in with your natural tooth colour. As a result, these braces are a perfect solution if you want to combine uncompromising teeth straightening potential with a more discreet appearance. Are fixed braces suitable for me? Fixed braces are an effective treatment for a range of orthodontic problems, from crowding or spacing issues to over and underbites. Book a free consultation with us to see if fixed braces are right for you. Fixed braces are available at both our Brighton & Hove and Kent Branches.